He said it was unfortunate that there would be “doubting Thomasses” when development matters are discussed. 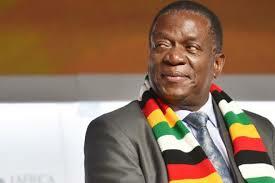 President Mnangagwa said he was optimistic Zimbabweans should rally behind the Government’s socio-economic programmes so that locals enjoy the fruits of the liberation struggle. “I remember when we had returned from China and we visited parents in Mashoko Village in Masvingo during a traditional beer drinking ceremony. We told the parents that we were freedom fighters and were going to see to it that black people ruled themselves. Some parents laughed at us and some sympathised with us and we were optimistic that we would one day attain independence. So two villagers started fighting — one was supporting us while the other was saying we would never defeat the colonisers. As they were fighting, one fell down after he was tripped by a log and the one supporting us landed on his chest and shouted “ndodye zhizha” (I am enjoying green mealies from a harvest),” he said. “You will find that developed countries are peaceful. Their people see projects such as this one as everyone’s responsibility. If we unite we develop. But if we don’t we won’t go anywhere. At the same time you find out that if there is unity and peace in the country, we invite investors,” he said. Minister of State for Midlands Provincial Affairs Cde Larry Mavhima commended MSU for its role in taking education across the country saying the new dispensation target of making the country a middle income economy by 2030 is achievable. He said MSU was deeply rooted in socio-economic development of the province and the country at large. “MSU is doing well in advancing the education sector in the country. Its department of Local Governance is assisting local authorities with expertise. We have the medical school that is also assisting health institutions, an indication that MSU is key in innovation, renovation and success of the country, “ he said.